While authors who write for adults may feature minimalist design and a monochrome color palette on their websites, the designs and colors that work for authors of children’s books can be much more expressive and bright. Parents may ultimately be your book buyers, but it’s the kids you have to impress! At Web Design Relief, we recommend children’s book writers should have author websites with intriguing visuals to highlight the tone of their stories. 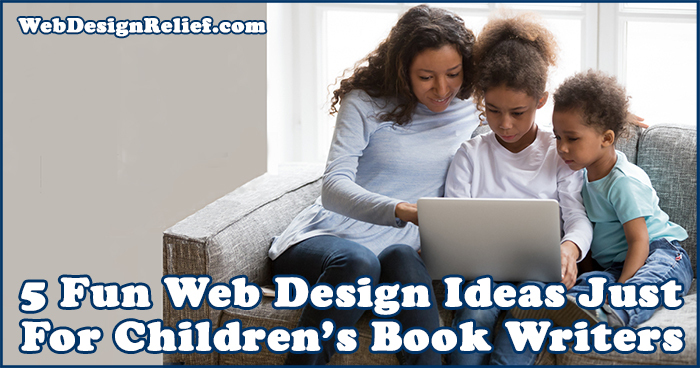 Check out these engaging, fun web design ideas just for children’s book writers. Websites packed with color are visually intriguing and enticing to young readers. One of the most important decisions you can make in terms of website design is your color scheme. Black, white, and gray websites can seem too mature and not in sync with the tone of your genre. However, if a bright, primary rainbow color scheme seems too glaring, you can choose an array of pastel colors or different tones of the same shade of youthful colors like pink, yellow, and teal. A fun way to engage new readers—especially as a children’s book author—is to read to them yourself! Vlogging is a popular promotional method used by authors across many different genres, but storytelling is something unique to children’s book writers. Rather than simply using static images or text as promotional content on your website, a video of you reading your story is an entertaining way for young readers to get to know you and your work. Set up your video camera, cell phone, or webcam, and film yourself reading your book to add your unique voice and attention-grabbing content to your author website. You’ll be hard-pressed to find a kid who doesn’t enjoy video games or board games. A smart way to keep visitors staying longer, build your readership, and give your biggest (or in this case, littlest!) fans a reason to come back again and again is to create a game that children can play on your website. If you want to really wow children and parents, hire a game developer to design a simple flash game for your website that features characters from your book. Don’t have the budget or time for the bells and whistles? Create a word search using words and character names from your book. Or get creative by making games out of the content already on your site! Challenge visitors to count how many times they can find your character throughout the website, or post riddles for your visitors to solve. Besides acting as a marketing hub for your book, your author website can also be a source of useful information for your audience. Consider dedicating a page of your website to list links to different games, craft ideas, and learning tools that fit the themes of your books. You may even cross-promote by linking to other authors who write books similar to yours—and ask them to do the same. Many children’s books touch upon serious topics in age-appropriate ways, so you might even include links to official pages for causes you support as a way to use your website to give back. Parents, guardians, and teachers may frequent your site, but keep in mind your main audience is young readers. Rather than using grammatically correct but dry language, find ways to sprinkle interesting and age-appropriate vocabulary and elements throughout your site. For example, rather than a standard website menu bar, children’s book author Tonie Melendez titles her different web pages as chapters. Another option would be to use graphics and icons rather than words to provide access to all of your author resources. Do you have a link to purchase your book? Add a shopping cart icon. Using a contact form for fan mail? Let visitors click on a mailbox graphic. Get creative so your website is user-friendly for all ages! And check out these great author website ideas you can make your own! Make sure your website is fun, colorful, and packed with entertaining activities and educational resources for your readers. Need more inspiration? Here are some children’s book author websites we love! 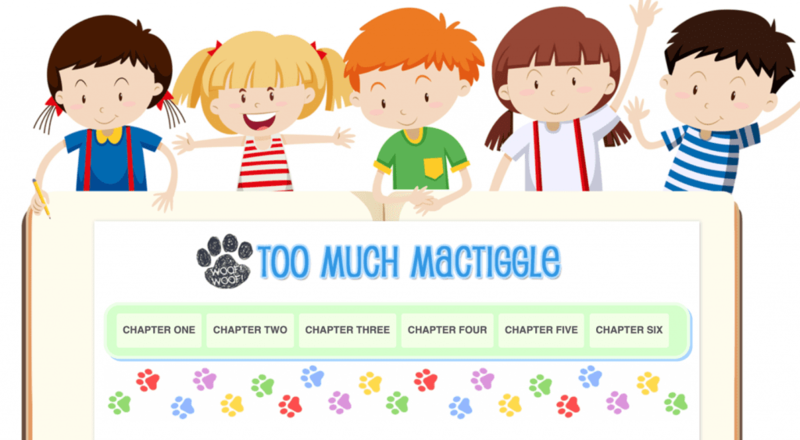 Question: Which is your favorite children’s author website? Why?